Thomas Fox Averill is Writer-in-residence and Professor of English at Washburn University of Topeka, where he teaches courses in Creative Writing and in Kansas Literature, Folklore and Film. His story collections are Passes at the Moon (Woodley Press, 1985), Seeing Mona Naked (Watermark Press, 1989), and Ordinary Genius (University of Nebraska Press, 2005). 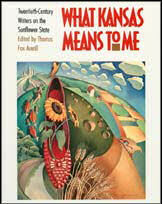 He is the editor of What Kansas Means to Me: Twentieth Century Writers on the Sunflower State (University Press of Kansas 1990). In the Fall of 1996, Eagle Books (Wichita) brought out his Oleadegr's Guide to Kansas: How You Know When You're Here. His novels are Secrets of the Tsil Cafe (BlueHen/Putnam, 2001), The Slow Air of Ewan MacPherson (BlueHen/Berkley, 2003), and rode (University of New Mexico Press, 2011). New Mexico reprinted Tsil Cafe in 2012. He helped to found, and was the first director of, Washburn's Center for Kansas Studies. 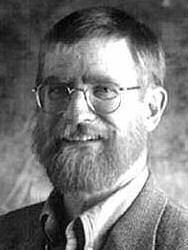 He is the author of numerous articles, poems, and short stories (most recently in New Letters, Cimarron Review, Chariton Review, North American Review and Doubletake), and is a frequent speaker on Kansas Culture. He has edited several books for Woodley Press and the Center for Kansas Studies (most recently The Loose Change of Wonder, poems by Steven Hind, and A West Wind Rises: Massacre at Marais des Cygnes, by Bruce Cutler. He is also a monthly commentator in the voice of William Jennings Bryan Oleander of Here, Kansas, for KANU, National Public Radio from the University of Kansas. His Oleander play, "Abide With Me," won the first Great Plains Play Competition, and was produced by the University of Kansas Theatre as the final play of the 1996-97 Season. Elmer hated his name. He always had. But now he hated it even more. He hated the farm his parents had moved him to. He hated the country. He hated not being able to ride his bike. He hated not having any friends. Actually, since June first, he'd hated even being Elmer D. Peterson. June first was the day his father quit his electrician's job for good. That was the day they'd moved out into the middle of nowhere, Wabaunsee County, Kansas, for good. That was the day he'd done his last run with the Sunflower Track Club and quit the team for good. That was the day everything went bad. For good! Now, there was nothing to do but help his parents. Out here, they didn't have cable TV. They didn't have people his age to run track with. They didn't even have a track near enough to run on regularly. They didn't have a good paved road near enough to ride his touring bicycle on. They didn't have anything but sky and grass and work. “Rise and shine!” his father yelled up the attic stairs every morning. My crib, and then my bed, were in my mother's kitchen, where she spent most of her time. Sunshine streamed into her southern windows and onto her plants, pots, pans, bottles and jars. And on her cookbooks, shelves of them. The bottom shelf, though, was mine. By the time I was three, I had learned that my mother would stop almost anything if I asked her to read me a book. I would run to that bottom shelf and pull out Winnie the Pooh, and we would read the adventures of Robin, Pooh, Piglet and the rest. My mother was a tall woman and I loved jumping into her lap, being engulfed by her arms, looking at the pictures, and the words. Her long braid was often curled around her shoulder, and I sometimes held it, pretending it was Eeyore's tail. “I want some milk,” I said. And we drank. “Can we taste other words?” I asked. Interview with Miranda Ericsson, Topeka & Shawnee County Public Library.